so I was touring a friend around and he wanted to eat ramen. 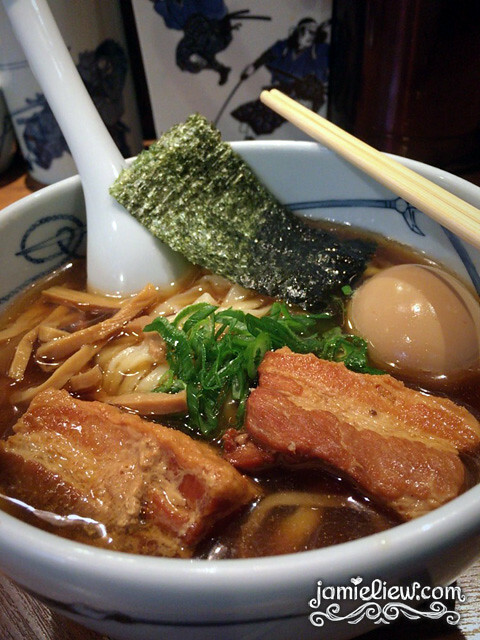 so I searched a little and stumbled across this place called Menya Musashi, which is apparently the best ramen shop in Shinjuku. 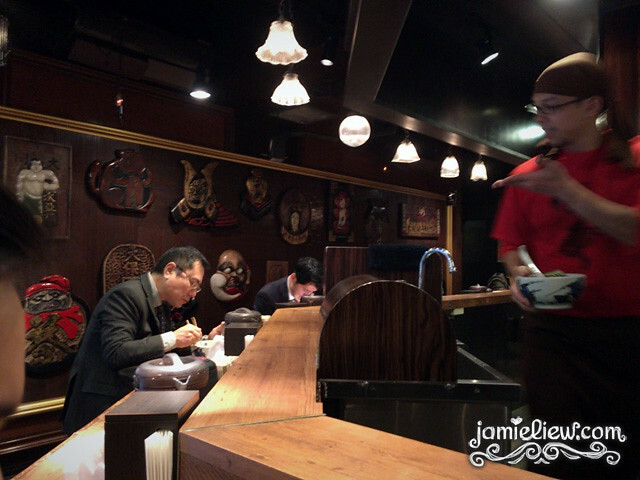 there weren’t many seats but it was definitely very well decorated and it also has a very nice ambiance compared with the usual ramen shops. when we entered the place, it was pretty empty but as we sat down, the people working nearby started pouring in as it was 12 and not even 10 minutes later, there was a very long line. glad I went there a tad bit earlier =X. although I searched for ramen, it seemed like this place was famous for its Tsukemen and boy, this was the best Tsukemen I’ve ever had so far (note that I hadn’t had many hahahhaha). what I loved about this shop was also because of their chili sauce which I forgot to take a picture of. it seems like some kind of Yuzu chili where it was a little bitter, sour and spicy. the texture of the noodles though.. was amazing. the thickness of the noodles were just right for me and the soup was absolutely delicious. my friend got himself the shop’s most famous ramen and was very satisfied with it! 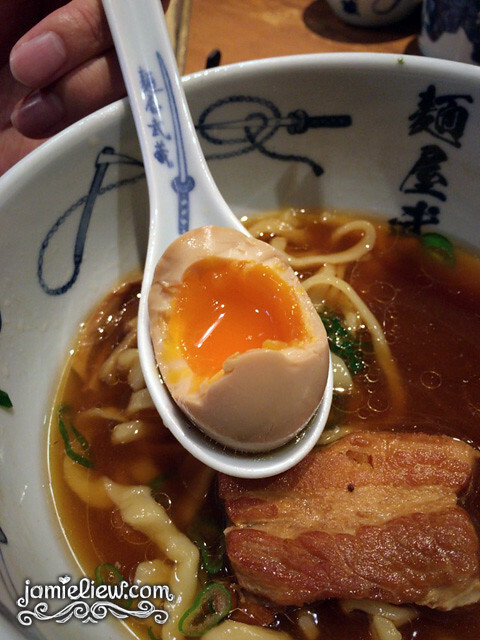 Japanese eggs. hard on the outside, soft on the inside. 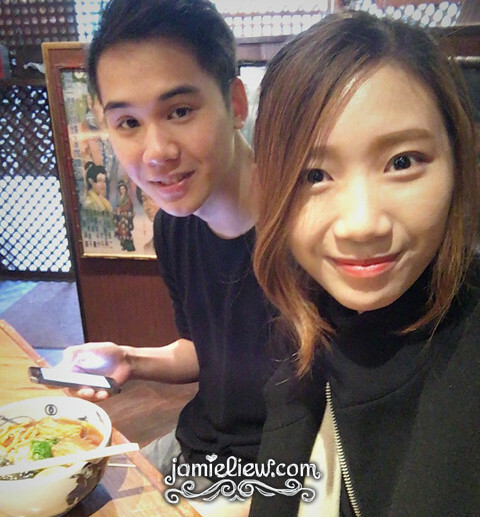 if you’re dropping by Shinjuku, this ramen place is highly recommended! HOWEVER, this place is kind of on the pricier side. normal ramen range from 600-800yen while the ones here was around 900-1300yen. 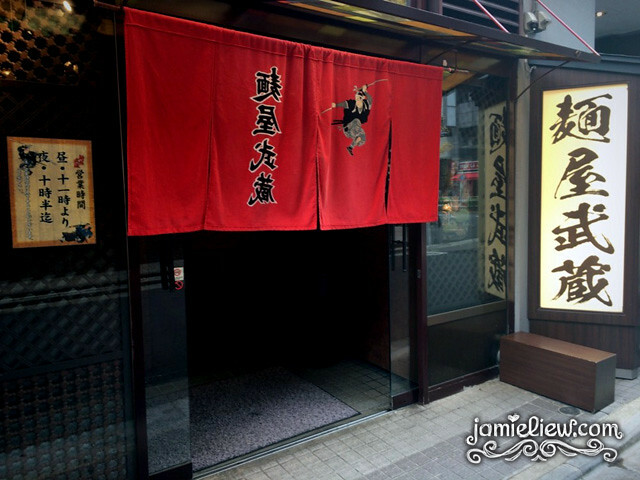 as for the way to get there, just google for Menya Musashi on google maps and you’ll find it ;). Oh my… That looks soo good! I wish be there and hang out with you, you’re such an amazing girl! I’m your biggest fan tbh 😛 I wish you post more frecuently too but I think it’s because your studies, so good luck! Ggreetings from the other side of the planet. Mexico. xxxooooo! ah thank you so much Karla! keep reading! leave me loads of comments too ^_^. I will try to post more often since I am back in Korea now!